I've been working with Flutter for almost a year now. I can tell you that it drastically accelerates mobile development, and makes it painless to craft aesthetic UIs. Gone are the days of XML layouts. 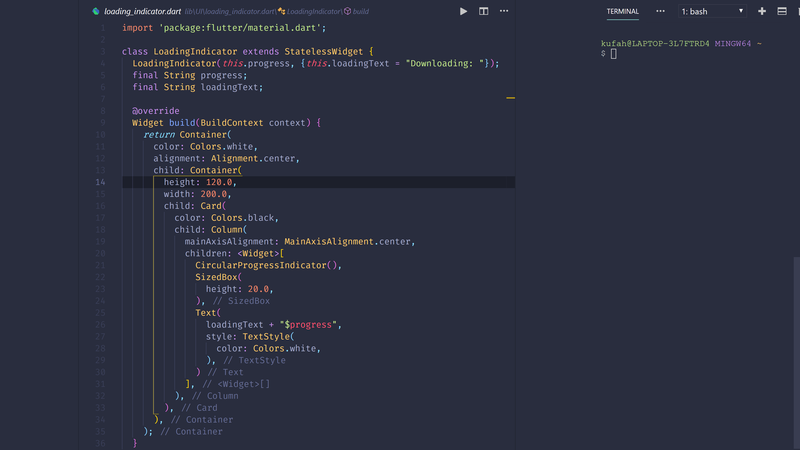 Coupled with Visual Studio Code and these incredible plugins, the Flutter experience is butter smooth. Without further ado, here are my top picks for better fluttering. Inevitably, first on the list is the official Flutter plugin by Danny Tuppeny. 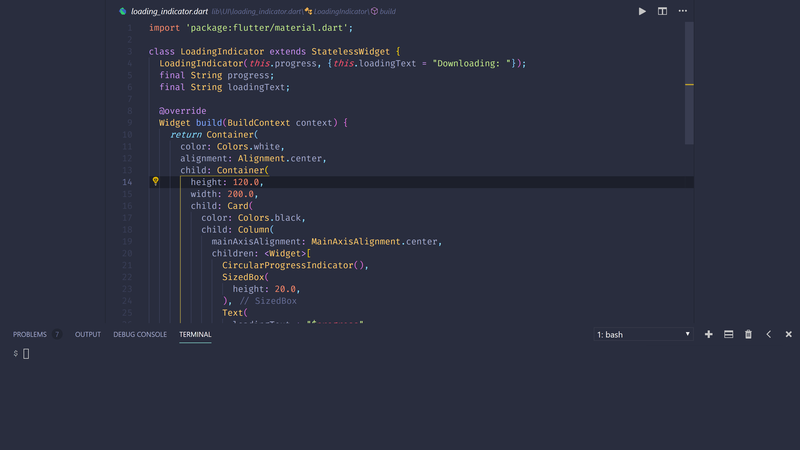 These add syntax highlighting, suggestions/fixes, snippets and debugging support. Download here. No more eye-strain while trying to find brackets! There are a lot of brackets in Flutter code. Once you start nesting widgets, it becomes strenuous to locate the brackets' pairs. Thankfully, Better Brackets plugin makes it painless. Get it here. These two plugins are fantastic to make your work space aesthetic. With 8 different themes and hundreds of flat icons, it doesn't get better than this. My personal favorites are Ocean and Palenight. Download. Now. This one's a godsend. Once you start fluttering, you will find yourself often leaving the editor and heading to Dart Pub to copy some dependency text, or to find the latest version number. This WILL mess up your flow. Use Pubspec Assist and never worry about it again. Better comments makes it easier to read comments through color coding. There's one major feature left out in the above screenshot, and that's the ability to set TODOs. They'll even appear in your Problems tab in the side/bottom panel, just like in IntelliJ. What's more, you can also set custom styling. Write Better Comments. Last but not the least, GitLens integrates numerous Git features into Visual Studio Code. You can jump between repositories, see who wrote that beautifully concise line, when and why it was changed, switch between commits in the past, and more. Let's Git coding. Bonus: Move Bottom Panel to the side. Having the Panel at the bottom takes up a lot of space that you could use to read more code. Move your panel to the side instead (your code shouldn't exceed 80 chars anyway) to use space more efficiently. Open Settings by hitting Ctrl + ,. Then, search for "Panel location". Change it from bottom to right. Use the power of Github Issues to add comments to your blog.